Continuing the series of ‘Psychology and Physiology are deeply connected’, this is the final one. This experiment is popularly known amongst psychologists as ‘The Love Bridge’ study, named after the bridge in Capilano Canyon, Vancouver where the experiment took place. The suspension bridge spans 450 feet and hovers 230 feet above the ground, causing it to sway as the wind blows. There was another bridge in the area that was a small but sturdy wooden bridge bordered by guardrails, just ten feet off the ground. At various times throughout the day, researchers Donald Dutton and Arthur Aron, had a young female assistant approach men between 18-35, as they stepped off the end of each bridge with a scripted story – that she was a psychology student conducting a study on the effects of exposure to scenic attractions on creative expression. The assistant would then ask each man to fill out a short survey. When done, she would offer to tell him about the study when she a little bit more time. Then she would write down her name and number and hand it over to the men. Most men happily accepted it and walked off. As expected the female assistant started getting calls from the men. While only two of sixteen men who crossed the small sturdy wooden bridge called, half of the eighteen men who crossed the suspension bridge called. Why did she miraculously become more attractive to the men who crossed the suspension bridge than to the men who crossed the small sturdy wooden bridge? Turns out that for the men who crossed the suspension bridge, anxiety and adrenaline translated into a heightened romantic interest in the assistant. Their physiological reactions affected their perceptions and behaviour. But could the men who took the suspension bridge be more courageous and daring and therefore more likely to take a chance on calling the assistant? To test the possibility, the researchers went back to Capilano to conduct a follow-up study. This time the female assistant was stationed only at the end of the suspension bridge. She approached some of the men right after they crossed and others, ten minutes after they had finished crossing. More men who met the assistant just after they crossed called, than the ones who were approached ten minutes later. The latter’s anxiety had subsided and their adrenaline levels had gone down. 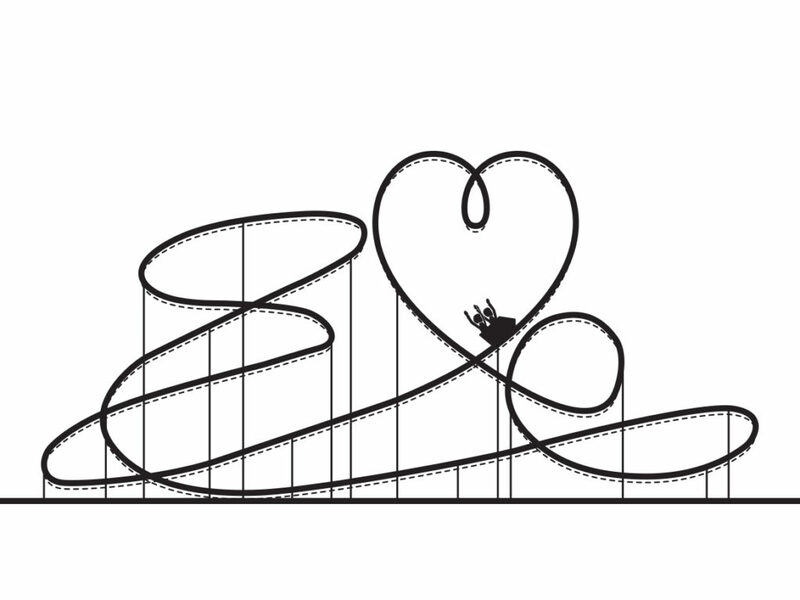 No wonder going for a roller-coaster ride on a date makes sense. Source: Attraction under conditions of high anxiety – Donald Dutton and Arthur Aron – Journal of Personality and Social Psychology 30 (1974): 510-17.